Language barriers are very real. It is not simply that different languages have different words for the same objects, but they also have different sounds, different rhythmical stresses, and different grammatical structures. There are thus enormous problems when one wishes to translate sentences from one language to another. It can never be a straight word-for-word substitution, because the two languages express themselves in different ways. One language may be very economical and use few words to express a wealth of meaning, whereas another language may depend for its effectiveness on the employment of many words to express the same thing. If translation of prose texts from one language to another presents many intractable problems, the translation of metred and rhymed verse is almost unthinkable! There is not only the problem of putting thoughts from one language into the authentic expressions of the other language, but also the need to meet the demands of metre, rhyme, and strophic structure when translating hymns and other verse. Thus there are powerful reasons against the whole exercise of translating hymns from one language to another. This explains why, certainly in earlier times, more hymns were not translated from German to English or English to German. However, notwithstanding the difficulties, some hymns have been so powerful and effective that attempts have been made to convey at least something of the originals in another language. As one surveys the history of the links between German and English hymnody, it quickly becomes obvious that, until quite recently, it has largely been a one-way export trade from German-speaking to English-speaking countries. That is hardly surprising, since German hymnody has a much longer tradition than its English counterpart. German hymnody is firmly embedded in the Reformation of the sixteenth century, in the hymns of Luther and the Wittenberg circle of hymn writers, with its roots in the folk hymnody of the previous centuries. The English tradition is somewhat different. Although—as we shall see shortly—there was an early attempt to translate Lutheran hymns into English, English hymnody has its effective beginnings in the Reformed tradition of metrical psalmody. This tradition began in the mid-sixteenth century and dominated English congregational song until well into the nineteenth century; indeed, its influence is still with us. The singing of freely-written hymns—as opposed to versifications of the Psalms or other portions of Scripture—although not entirely unknown in earlier years, did not really become popular until the mid-nineteenth century. This was certainly so in the Church of England. However, among the Independents and Methodists hymn singing had been a feature of their worship from the early eighteenth century—mainly the hymns of Isaac Watts and Charles Wesley. It is therefore not surprising that there should be little translation of German hymnody into English until the nineteenth century. Nevertheless, the translations that were made in the earlier centuries are extremely interesting, and some are highly significant. As one might expect, Luther’s hymns form the majority of the 41 texts of the Goostly psalmes. Notably absent are those that appeared in 1535 or after such as Vom Himmel hoch and Vater unser im Himmelreich. Of the 29 hymns Luther had published by 1535, Coverdale translated 18—including Ein’feste Burg, of course. These Coverdale translations have been characterized as unpoetical and mundane verse: nevertheless they at least have a ruggedness and angularity that approximates closely to Luther’s German style. However, the translations are somewhat free, especially in those hymns based on specific biblical passages. Coverdale accepted the general metrical pattern of the melody and the leading ideas of the text, but then followed the Scriptural passage in his own independent way, rather than slavishly imitating the German. Now that the earlier date of 1535 has been established, it seems that these translated hymns by Coverdale exerted some influence in England, and where Coverdale had led the way, others were prepared to follow; indeed, some were grateful to build directly on his translations. John Wedderburn from Dundee fled from his native Scotland to Wittenberg in 1539 where he was associated with Luther and his colleagues. Sometime between 1540 and 1550 he translated some of the hymns of the Wittenberg circle of hymn writers into English, or rather Scottish, dialect. Some of Wedderburn’s translations were taken over almost verbatim from Coverdale. And this is a pattern that was repeated again and again in successive attempts to translate German hymns for English use: each new translator began with the work of those who preceded him. Thus, when Robert Wisdome came to translate Luther’s Es wollt uns Gott genädig sein, sometime before 1560, he clearly had both Coverdale’s and Wedderburn’s versions in front of him. Coverdale’s translation of Luther’s Mitten wir im Leben sind was used by Thomas Cranmer, the Reformation Archbishop of Canterbury and architect of the English Reformed liturgy, in his translation of the sequence in the burial service of the 1549 Book of Common Prayer, which survives in the 1662 Prayer Book and is still in use today. But Coverdale’s translations from the German were not to provide the foundation for congregational song in England. The Goostly psalmes were published at a time when Lutheran interest in England was at its highest. For political reasons, the king, Henry VIII, was considering the possibility of joining the princes of the Schmalkaldic League. This would have meant the adoption of the Augsburg Confession by the English Church; and, indeed, the Confession, with the Apology, was published in English translation in 1536. English theologians were sent to Wittenberg and German theologians came to London in 1535-36. But the contact did not lead anywhere because Henry VIII began to realize that the political advantages he had foreseen were just not there. He therefore drew back from the general course of the Reformation, and a succession of reactionary moves undergirding the old Catholic faith were taken—indeed, Coverdale’s Goostly psalmes was ordered to be burnt along with other prohibited books containing Reformation doctrines and policies. When Henry VIII died in 1547 a new and open beginning was made at the Reformation of both church and state, but the ideal for congregational song was now the French metrical psalm rather than the German Lutheran hymn. The new king, Edward VI, however, was young and ill: by 1553 he was dead and his sister Mary came to the English throne. She put the clock back and reintroduced Catholic worship and practice in all its forms, and Protestants were persecuted for their faith and conviction. Many fled to mainland Europe and exile congregations were formed in such places as Wesel, Emden, Frankfurt-am-Main, Strasburg, Geneva, Basle, and Zürich. In most of these places the Englishmen developed congregational song along the lines of Calvinist/Reformed metrical psalmody. Nevertheless there was some influence from the German tradition of hymnody. For example, Richard Cox translated Luther’s Vater unser im Himmelreich, which first appeared in print in a small English collection printed in Wesel in 1556; Robert Wisdome translated Luther’s Es wollt uns Gott genädig sein, and Erhalt uns, Herr, bei deinem Wort, which appeared in the English metrical psalter of 1560/61; and in the same English source there is a translation of Wolfgang Capito’s Gib Fried zu unser Zeit, O Herr, by ‘E.G.’, who could well have been Edmund Grindal, afterwards Archbishop of Canterbury, who was in exile in Strasburg. In general, one can say that most of these sixteenth-century transitions from the German are imitations rather than strict translations; many of them limp rather badly in their English form, which may help to explain why in the seventeenth century there was virtually no translating of German hymns into English. True, Wedderburn’s translations, under the title Gude and Godlie Ballates, were reprinted at least twice in the first quarter of the seventeenth century, but the atmosphere in both England and Scotland had become strongly Calvinist, and Lutheran-type hymns, which were not strictly Scriptural paraphrases, were regarded with suspicion. Interest in German hymnody revived in England at the beginning of the eighteenth century, when the Elector of Hanover became George I of Great Britain and Ireland in 1714. Although the new king conformed to the Church of England, it was agreed that the royal court should maintain a German chapel at St. James’s Palace, London, to be served by a Lutheran chaplain. Johann Christian Jacobi was the official ‘Keeper’ of this royal German Hofkapelle. Between 1722 and 1732 Jacobi issued three editions of a collection of his translated German hymns under the title Psalmodia Germanica. In 1722 there were 59 translated hymns (plus three English hymns by Isaac Watts), set to their associated melodies; in 1732 there were 88. In his preface Jacobi explains how the collection came into being: ‘many of the British Nation, having heard the sacred Psalmody, used in the German congregations at London, have wished to see the same done into English and set to the same Tunes and Metres, wherein they were originally composed’. Like most other Lutheran hymnals up to this time, Psalmodia Germanica began with Luther’s Nun komm der Heiden Heiland. However, while the hymn-book included the classic Lutheran hymns of the sixteenth century, it also contained the hymns of more recent times, such as Paul Gerhardt’s Befiehl du deine Wege. Jacobi clearly had an adequate command of his mother tongue, but his grasp of English was somewhat limited and his English versions of German hymns are rather wooden and pedestrian. In 1765, fifteen years after Jacobi’s death, another edition was published, with a supplement of a further 32 translations. By the standards of today, these translations may be considered inadequate, nevertheless in their own day they had some currency, as is witnessed by the succession of expanded editions between 1722 and 1765. The final edition of 1765 crossed the Atlantic and was reprinted in New York. Thus Jacobi’s translations were among the earliest examples of German Kirchenlied in English dress to have been sung in American Lutheran congregations. One fragment of a Jacobi translation survived as late as 1958 when some stanzas of his version of Albert’s Gott des Himmels appeared in the (Lutheran) Service Book and Hymnal. In England Jacobi’s translations were taken up by the Moravians in a succession of official hymn-books from the eighteenth century onwards; six, plus one stanza from another, survive in the most recent Moravian Hymn Book, London 1975. Other attempts at translating German hymns into English in the eighteenth century were due, in one way or another, to Moravian influences. John Gambold, an Anglican vicar in Oxfordshire, resigned from his parish to become Count Zinzendorfs translator in London. He was also involved in the setting up of the English Moravian Church, becoming its first bishop in 1752. Gambold edited for English-speaking Moravians a vast hymn book in two volumes: A Collection of Hymns of the Children of God in All Ages, London 1754. It was modelled on Zinzendorfs equally vast German Londoner Gesangbuch of 1749/54. Gambold’s English book included many translations of distinctive Moravian hymns, especially those by Zinzendorf himself. But classic Lutheran hymns were included as well, such as selections from Jacobi’s translations and various hymns by Luther, for example, Gambold’s version of Christ unser Herr zum Jordan kam, and Charles Kinchen’s somewhat free translation of Gelobet seist du, Jesu Christ. Kinchen’s translation continued in use in other books compiled under the direct influence of the Evangelical revival of the later eighteenth century. Moravian influence is to be detected again in the translations of John Wesley. He embarked on the ship Simmonds, with a group of friends, on 14 October 1735, to sail to the English colony of Georgia in North America. On board the same ship were a group of Moravian missionaries; on the voyage across the Atlantic Wesley took the opportunity to learn their hymns. Within two years, in 1737, he had produced his first hymnal, which contained five of his translations of German hymns. Wesley eventually translated 33 German hymns in all, including Gerhardt’s Befiehl du deine Wege, Tersteegen’s Gott ist gegenwärtig, and Zinzendorf’s Christi Blur und Gerechtigkeit, which, in their translated forms, have become standard English hymns in their own right. By general consent, Wesley’s translations are considered to be among the finest examples of the translator’s art in that they give the impression of being original English compositions, even though one has to admit that he occasionally treats the German texts with considerable freedom. Frances Elizabeth Cox, Sacred Hymns from the German, London 1841; second revised and enlarged edition: Hymns from the German London 1864. This contains some very good translations by such writers as Arndt, Dach, Denicke, Freylinghausen, Gellert, Gerhardt, Heermann, Lange, Lavater, Luther, Neander, Olearius, Schmolck, Stark, Tersteegen. Zinzendorf and Zwick. Jane and Sarah Borthwick, Hymns from the Land of Luther, Edinburgh and London 1854, second series 1855, third series 1859, fourth series 1862; numerous reprints. This has many paraphrastic translations of such authors as Arndt, Bogatzky, Dach, Freylinghausen, Garve, Gellert, Gerhardt, Klopstock, Knorr von Rosenroth, Krummacher, Lange, Laurenti, Neander, Neumeister, Scheffler, Schmolck, Spitta, Slier, Tersteegen and Zinzendorf. Catherine Hannah Dunn. Hymns from the German, London 1857; second edition. London 1861. Translations from Albinus, Arnold, Becker, Freylinghausen, Gellert, Gerhardt, Gryphius, Heermann, Krummacher. Luther, Neumeister, Rist, Schefflcr, Schmolck and Tersteegcen. Emma Frances Bevan, Songs of Eternal Life. Translated from the German, London 1858; Hymns of Tersteegen, Suso, and Others, London 1895; numerous reprints. As well as translated hymns of Tersteegen and Suso, this includes those of Tauler, Gerhardt and others. Arthur Tozer Russell, Hymns for Public Worship and Private Devotion: for the Benefit of the London German Hospital, Dalston, London 1848, which has 29 of his translations; Psalms and Hymns, partly original, partly selected, for the use of the Church of England, Cambridge 1854. He translated such authors as Alber, Albert, Albinus, Clausnitzer, Dessler, Flemming, Francke, Freylinghausen, Gellert, Gerhardt, Heermann, Knorr von Rosenroth, Lavater, Luther (13), Meyfart, Neumark, Neumeister, Neander, Nicolai, Olearius, Richter, Rinkart, Rist and Rodigast. Richard Massie, Martin Luther’s Spiritual Songs, London 1854; Lyra Domestica, London 1860, second series, London 1864. The second title contains much of Spitta’s Psalter und Harfe. George Macdonald, Exotics. A Translation of the Spiritual Songs of Novalis, the Hymn-Book of Luther, and other Poems from the German and Italian, London 1876. John Kelly, Gerhardt’s Spiritual Songs, London 1867. Lyra Germanica. Hymns for the Sundays and Chief Festivals of the Christian Year, London 1855, second series 1858; The Chorale Book for England: A Complete Hymn-Book for Public and Private Worship …, London 1863; Christian Singers of Germany, London 1869. We in Britain are still singing with profit her memorable translations, such as her versions of Rinkart’s Nun danket alle Gott, and Neander’s Lobe den Herren, den mächtigen König der Ehren, which are sung by British congregations with hardly a thought that they were originally German hymns—which is a measure of the quality of her translations. Not for nothing has Catherine Winkworth been called ‘the Queen of Translators’. If her work is compared with that of the others, then the stature of her output is clearly demonstrated and the popularity of her translations will be seen in correct perspective. First, she translated more original German texts than any other translator—approaching 400, compared with the Borthwick sisters’ output of around 130, and Miss Cox’s of 56. Second, she translated the hymns of more than 170 different authors. Third, she did not confine herself to one particular period of German hymnody, as did the Borthwick sisters, most of whose translations are of hymns written roughly between 1750 and 1850, but took examples from every major generation of German hymn writers. She was at her best with the hymns of Gerhardt and his contemporaries, and had the greatest difficulty with those of Luther and his circle. Fourth, her versions are faithful to the original and yet written in an authentic English style. Fifth, her renderings have been consistently preferred to those of other translators. Without a doubt, as an American scholar has observed, Catherine Winkworth’s ‘translations are the most widely used of any from the German and have had more to do with the modem revival of the English use of German hymns than have the versions of any other writer’. Most of the translations of German hymns in English hymn-books today are in fact those of Catherine Winkworth. In the more recent collections there has been a slight revision of the language, substituting a twentieth-century vocabulary for her nineteenth-century one. There have been, of course, other translators who have followed in Miss Winkworth’s steps. For example, in America August Crull translated quite a number of German hymns, usually those not attempted by Miss Winkworth, which appeared in his Hymn Book for Use of Evangelical Lutheran Schools and Congregations, Decorah, Iowa, 1879. These translations have been largely confined to use within the Lutheran churches of North America. In England Robert Bridges included a few paraphrases of German hymns in his privately issued Yattendon Hymnal, printed by Oxford University Press in parts 1895–99. Two of these very free versions by Bridges remain in widespread use today in the English-speaking world: Gerhardt’s Nun ruhen alle Wälder, and Neander’s Meine Hoffnung stehet feste. In more recent years F. Samuel Janzow has translated all the hymns of Luther, of which some have appeared in Lutheran Worship, St. Louis 1980, and Honor Mary Thwaites has translated a number of other German hymns for The Australian Hymn Book, Sydney 1977 (With One Voice). Although in many respects these are new and fresh translations of these classic hymns, it can be demonstrated that Janzow is dependent on Winkworth, and Thwaites on Frances Elizabeth Cox, for phrases and rhyming schemes. As was revealed in a recent book, J. S. Andrews’s A Study of German Hymns in Current English Hymnals, Berne and Frankfurt/M 1981, the German originals of the translated hymns appearing in the main current English hymn-books date from the sixteenth to the mid-nineteenth century. However, in some supplementary collections there has been some attempt to translate a few contemporary hymns from Germany. For example, a number of texts by Schneider, Banter, Jurgens and Blarr, appeared in Youth Praise, London 1966—an informal hymnal for young people which employed a contemporary, secular style for its music. Some years later, the World Council of Churches produced a new edition of its hymn-book Cantate Domino, Kassel 1974. In this collection there are a number of translations of the hymns of Valentin, Ruppel, Weiss, Bonhoeffer, Klepper, Trautwein, Rommel, Schulz and others. These translations have not yet had really wide circulation since the hymn-book is used only in a limited way. Even so, it is known to hymn-book editors and one can expect to see more of its translations being taken up in future English hymn collections. Cantate Domino is a multi-language and not simply a German-English hymnal, designed for worship when Christians of many countries, denominations, and languages come together. Nevertheless, it has also served to introduce different kinds of hymnody across these barriers. It has, as I have said, introduced some of the new German hymnody to the English-speaking world, but it has also made the German-speaking world aware of the English hymnody tradition. This brings us to consider, somewhat briefly, the importing of English hymnody into the German language, which is something of a recent development. The German tradition has been so rich and influential that there has been little need to look at hymnody in other languages. In recent years, however, while not ignoring their own splendid hymnody, those whose mother tongue is German have begun to see that there are perhaps some English hymns that are worth singing in their own language! One interesting development is the use of the North American Spiritual, the religious folk-song of both black and white rural communities for the last century. Some are given in Cantate Domino and still more appear in Kumbaya: Oekumenisches Jugendgesangbuch, Zurich 1980—in the two languages. English and German. But Cantate Domino also includes the classic English hymns of Isaac Watts, Charles Wesley, John Milton, and others, as well as those of such contemporary hymn writers as Brian Foley, John Ferguson, Sydney Carter, Fred Kaan, the late Erik Routley, Brian Wren, and Fred Pratt Green. There is thus, in the German-speaking world an awareness of English hymnody that was absent in 1950, when the Evangelisches Kirchengesangbuch (EKG) was produced. Times have changed, and the commission preparing the replacement for the EKG, while ensuring that it will contain all the classic, and the best of the modern, German hymnody, has determined that the new book will also include a representative selection of English hymns in translation. 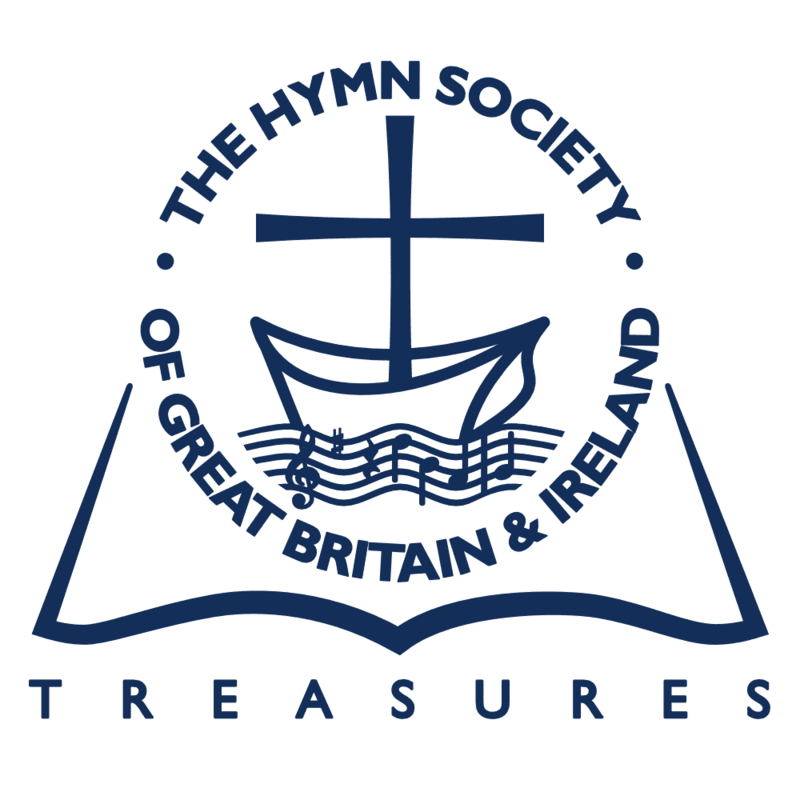 Various German hymnologists have been asked to make suggestions about which English hymns might be included, and I was asked to compile a short list of old and new English hymns that are widely sung and well-loved. This I have done, and the commission is now at work sifting the translations already available, requesting new translations to be made, and deciding which are to be included in the new hymnal.